"Utilizing Martial Concepts In Storytelling"
Mr. Kelly has been teaching classes at the Indiana University Martial Arts Program since 1992 where he also serves as Program Coordinator and Faculty Advisor for the Martial Arts Committee in the Dept of Recreational Sports. He has presented on Martial Arts in Physical Education to the Indiana Department of Education establishing a teaching pedagogy for attribute development, skill acquisition and self-defense application. 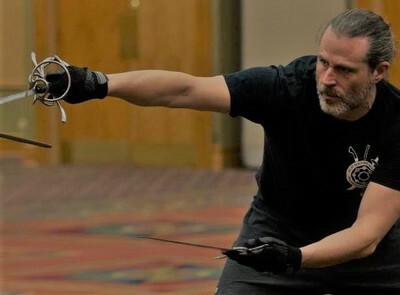 Mr. Kelly's training includes studying concepts and techniques from several martial arts including; Jun-fan Kickboxing, Wing Chun Gung Fu, Muay Thai, Savate, Kali/Escrima, Penjak Silat, Hapkido, Shoot-fighting, Judo, Brazilian Jiu-jitsu, T’ai Chi, Fencing, Longsword Fencing (Liechtenauer), and Archery, in addition to also working with tactical firearms training. 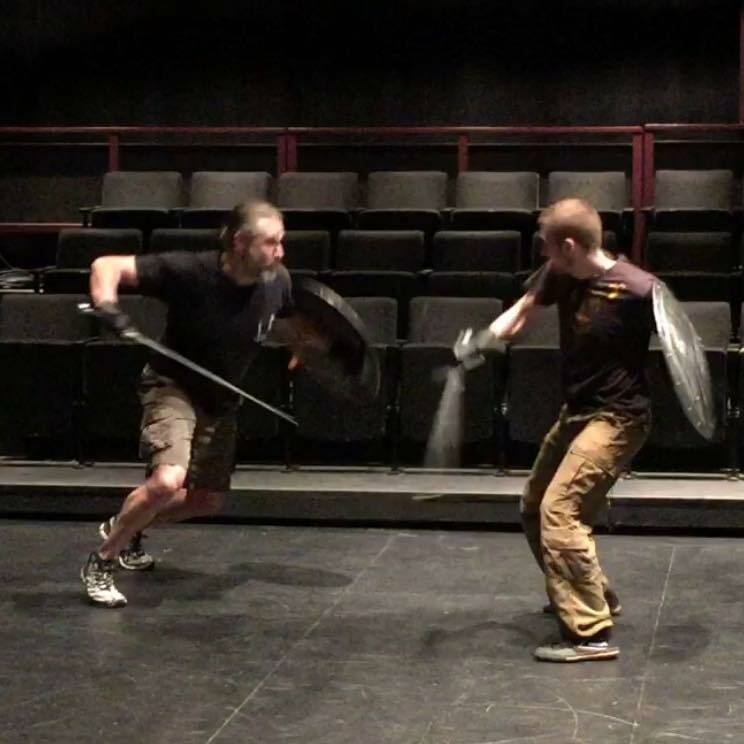 He is a Certified Teacher with the Society of American Fight Directors and has designed and performed violence for several independent films and projects including music video and mo-cap. His current work is being on the Stunt Team for the History Channel's 'Vikings' show, in production in Co. Wicklow, Ireland where he enjoys slaughtering and being slaughtered!